TMJ (or Temporal Mandibular Joint) pain can be horrible. Jaw movements such as chewing, talking, and smiling is often painful. Benefits of massage therapy for TMJ! With the stress that most of us deal with daily, jaw pain issues are becoming very common. Most people don't even realize they are clenching or grinding their teeth and many even do this in their sleep. It is often a dentist or dental hygienist that calls our attention to that fact that we are grinding teeth, or when headaches appear more often. The syndrome or dysfunction (TMD) can be caused by a misalignment of the jaw, tooth issues, stress, whiplash, trauma, neck misalignment, or inflammation. Some symptoms might include jaw pain or popping in or around the joint, headaches, toothaches, earaches, dizziness, nausea, sinus pressure or pain, clenching, reduced ability to open or close the mouth, or pain when biting or chewing. Physicians or dentists will often do exams and/or X-rays to diagnose the problem and determine the course of treatment. Massage therapy can help to realign problem areas, relieve the muscle tension and relax the muscles by working trigger point areas around the jaw and neck. It is possible to significantly reduce the pain and discomfort associated with jaw pain through massage. However, you should make sure the therapist has training in treating the disorder. Specific massage techniques might include Craniosacral Massage. This training is an in-depth study of the muscles from the head to the sacrum. A one hour session to treat jaw pain (which will also include lots of head and neck massage techniques in order to release all muscles in this area) should cost around $50-$65, depending on where you receive the treatment and experience level of the therapist. 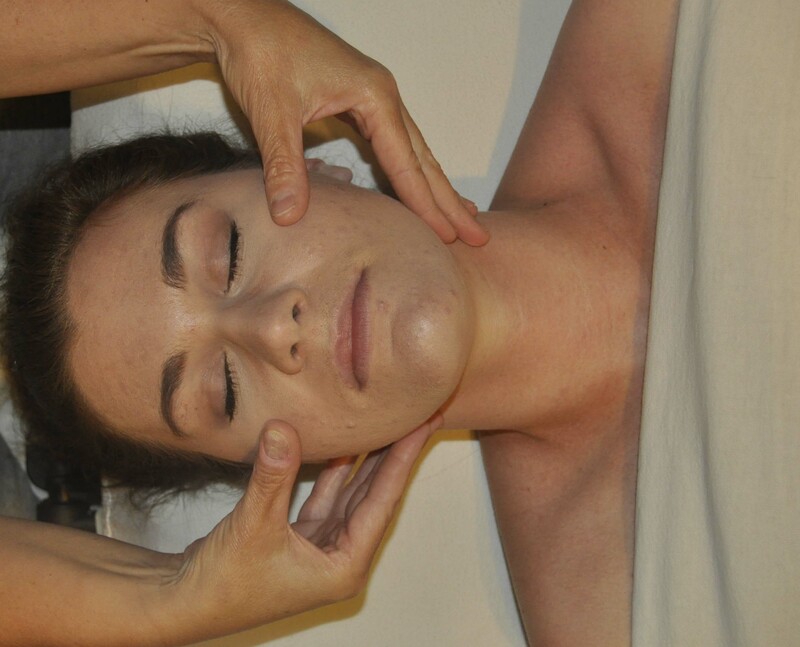 This DVD, T.M.J and Jaw Issues teaches massage techniques for reducing the pain, as well as how to discuss stress reduction and healthy living with clients who suffer from the disorder. It also provides other suggestions for many other alternative treatments that may help reduce pain, as well as the anxiety and stress that causes the clenching or grinding in the first place. Read more tips on dealing with this disorder at TMJHope. This is a great "niche" for any massage therapist in any town. Dentists and Orthodontists see lots of patients with this disorder, and often search for therapists who have experience with joint dysfunction work. Our book, "Sorry, I'm Booked" is loaded with great ideas (like how to market to dentists) and resources to help you build a thriving specialty massage business (like jaw pain), increase your earnings, and grow your clients with this unique, niche techniques. It is priced affordably for every therapist. Get it here! Massage therapy for TMJ is a growing specialty that is already in demand in our stress-filled world, and with so many technology professions, and as many as we will have in the future, this specialty work will be in high demand.